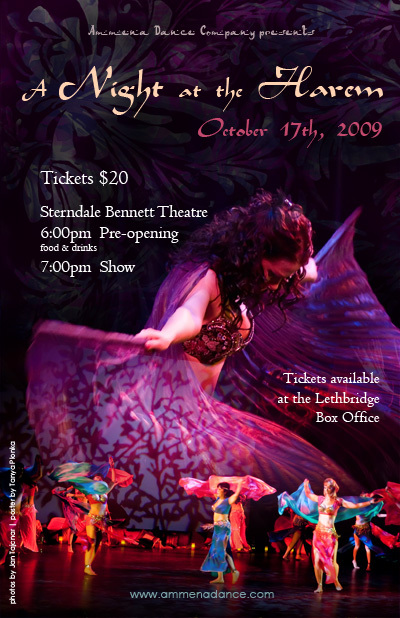 Here is the poster I made for our upcoming bellydance dance show, A Night at the Harem! The two photos I used are by the lovely Jan Tajcnar. If you’re in the Lethbridge area, check it out next Saturday!